The application for 2019 Hillman Academy is now Closed. Also feel free to check out our information flyer and share it with anyone interested. IMPORTANT: We will be hosting 2 webinars to go over information about the program and application. Click the link to download the meeting app. Click again at the indicated time to join the meeting. 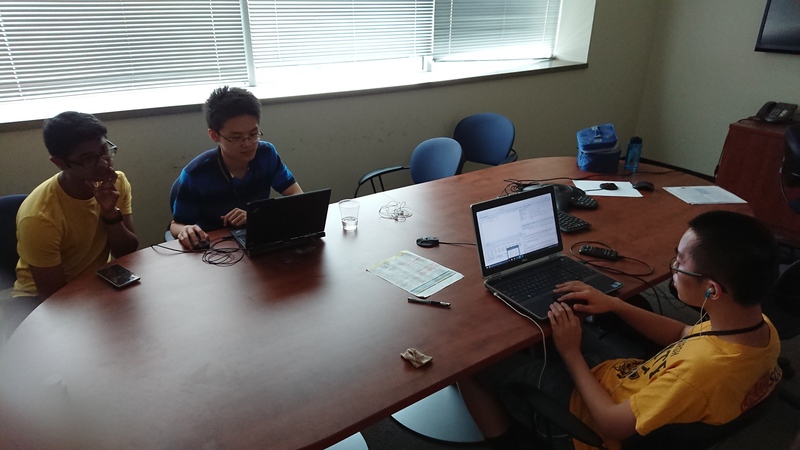 We accept applications from all high school students, but preference is given to rising juniors and seniors. Applicants must be in good academic standing and have no school suspensions on their records. 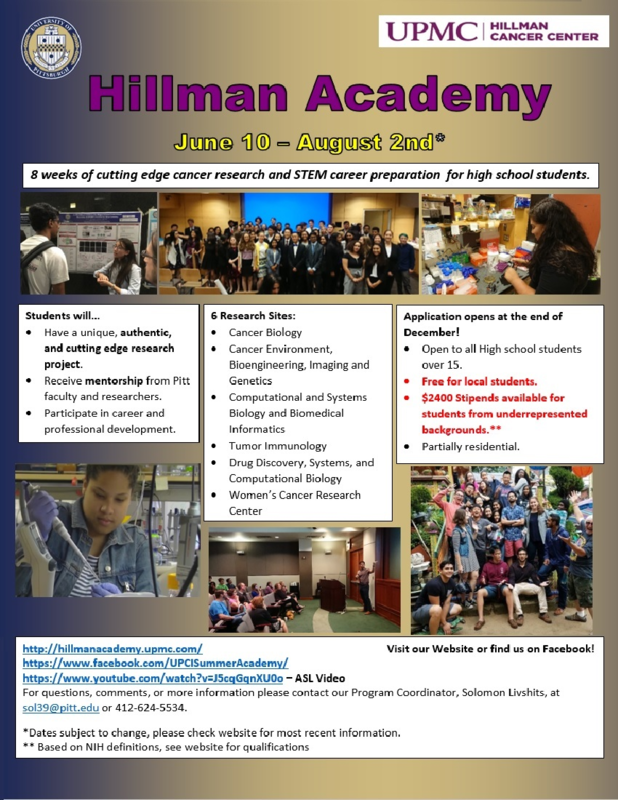 No applicant is guaranteed admission to The UPMC Hillman Cancer Center Academy. Applicants must be at least 15 years of age or older at the start of the program on June 10, 2019, to qualify for admission. Applicants must be at least 16 years of age or older to qualify for placement in the CB, CEBIG, TI, or WCRC sites. The Hillman Academy holds its scholars to a high level of integrity. We expect scholars to act as honest, cooperative, and hard-working colleagues who are open to new ideas and challenges. Honor the academic and ethical standards set forth by The University of Pittsburgh. Attend the full eight-week program (June 10 – August 2, 2019). Absences will not be excused unless written notification is submitted to and approved by program management prior to June 1, 2018 or in the case of medical/family emergencies. Attendance for the first and last weeks of the program is mandatory. Scholars will be excused on July 4, 2019. Report promptly to daily activities. Understand that The Hillman Academy may at any time dismiss a scholar whose conduct jeopardizes the community or is otherwise unacceptable. The application for the Hillman Academy will open around the end of December to Early January and close the beginning of March. Specific instructions are on the application. Don’t have a resume yet? Or do you want to update your old one? Check out these helpful links on creating a high school resume. As part of your application, we ask for two references from people who can reflect on your academic and professional capabilities – especially in the area of science. Teachers and guidance counselors are good examples of people who can provide such references.